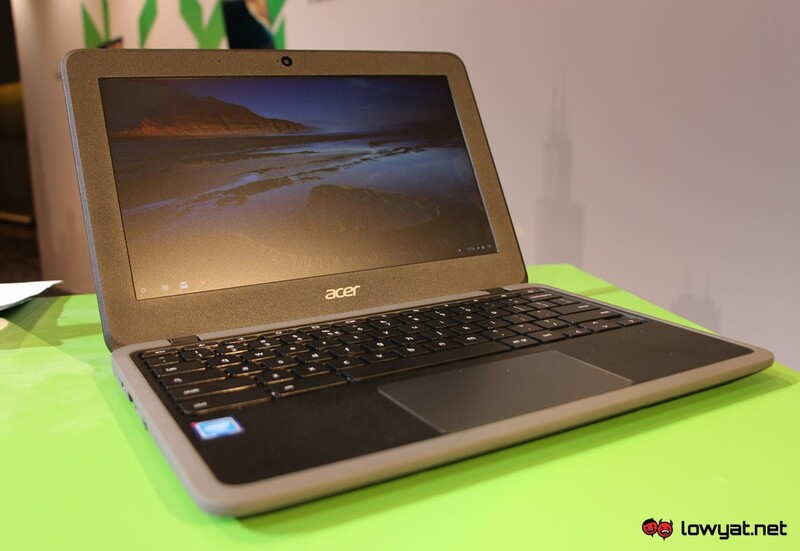 Acer recently has launched several new Chrome OS devices for our market including the Chromebook Tab 10 which made its global debut earlier this year. Revealed to the world as the industry’s first even Chrome OS-based tablet, accompanying the device entry into our market are Chromebook Spin 11, Chromebook 11, and Chromebox CXI3. Mainly targeted at the education sector, the Chromebook Tab 10 is equipped with 9.7-inch IPS display which has a native resolution of 2048 x 1536 (QXGA). Running on Samsung OP1 six-core processor, the tablet also carries 4GB of LPDDR4 RAM and 32GB eMMC-based internal storage. The Chromebook Tab 10 also comes standard with a battery-less EMR stylus by Wacom which can be slotted into the tablet’s body for safekeeping. Acer also claimed that the tablet has a battery life of up to 9 hours. Speaking about stylus, the same Wacom battery-less EMR stylus is also available for Chromebook Spin 11 although it comes as standard only for the 64GB variant (CP311-1HN-C6GV) of the 360-degrees convertible laptop. This particular variant is also equipped with 8GB of LPDDR4 RAM while the lower-end model carries 4GB of RAM and 32GB internal storage. Both Chromebook Spin 11 variants are powered by Intel Celeron N3450 quad-core processor and has battery life of up to 10 hours. Another feature that made the convertible rather unique is the existence of a webcam on top of its keyboard area that allows users to snap photos while being in tablet mode – something that can’t be done with most 360-degrees convertibles out there. The Chromebook Spin 11 is also equipped another webcam on top of its display area. 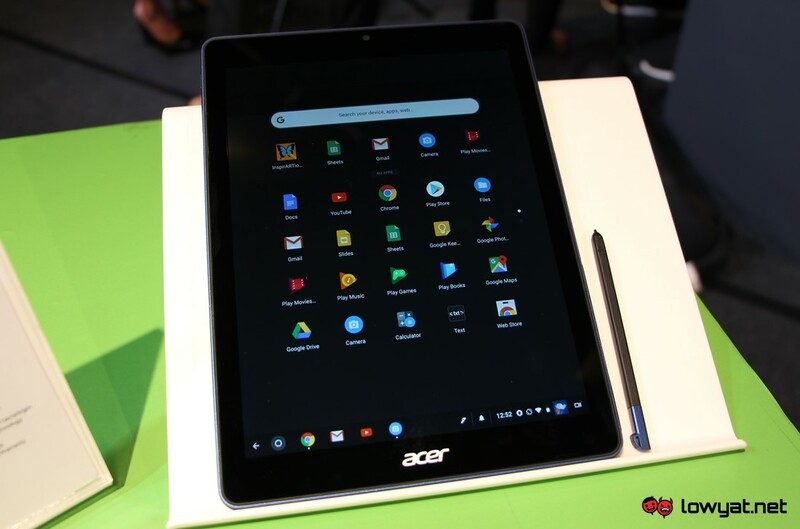 With battery life of up 10 hours together with spill-resistant keyboard and antimicrobial Corning Gorilla Glass, it is not surprising that Acer is targeting the Chrome OS-based convertible at the education sector as well. 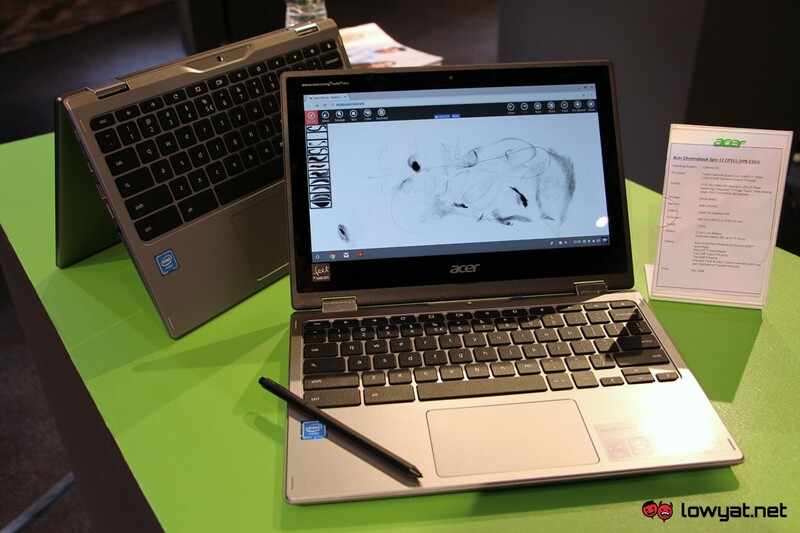 Of course, users can also opt for a more traditional Chrome OS laptop which comes in the form of Chromebook 11 C732. Designed to meet the MIL-STD 810F standard, this particular laptop not only able to withstand dust and sand, it also comes with tamper proof and spill resistant keyboard. With the help of its corner-shield structure and rubber bumper around the keyboard area, the Chromebook 11 C732 is also able to tolerate drops from as high as 122cm. Its honeycomb structure also allows the laptop to withstand weight of up to 60kg on its top cover. Also powered by the Intel Celeron N3450 processor, Chromebook 11 C732 is equipped with 4GB of RAM and 32GB storage. 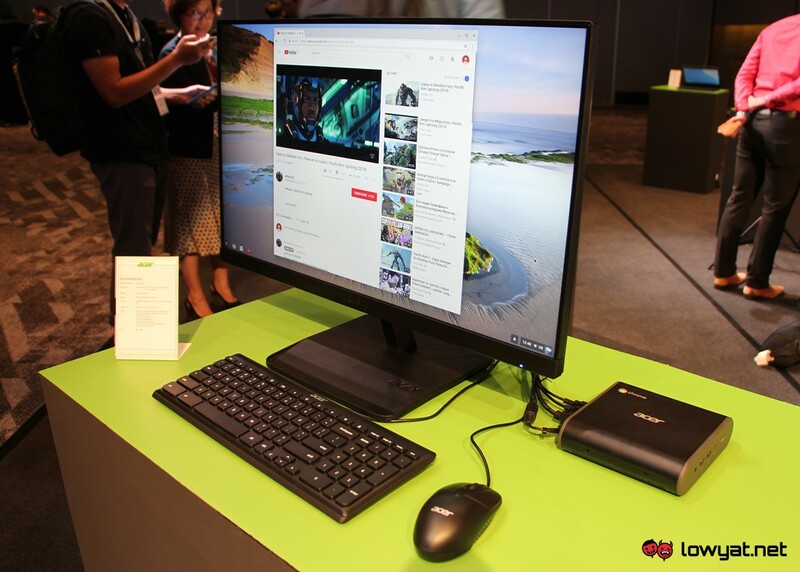 Last but not least, there’s also the Chromebox CX13 which is a highly compact Chrome OS-based desktop system. 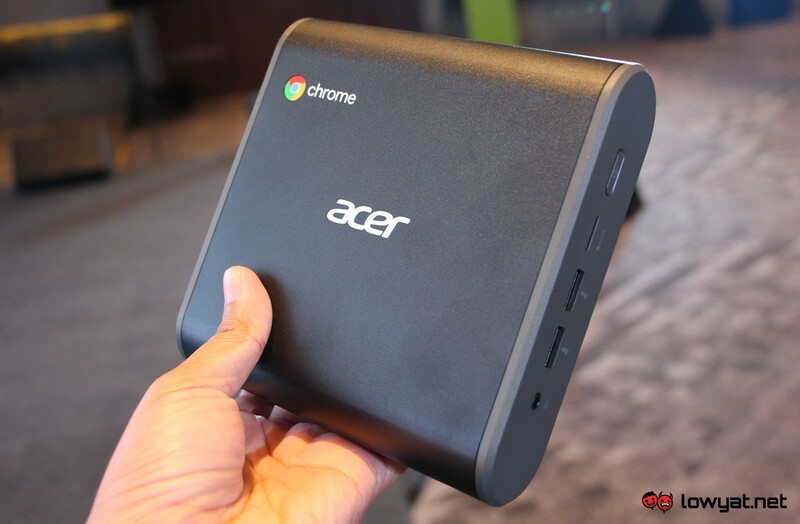 As opposed to its predecessor the Chromebox CX12, the new model features a slightly rounder design. Equipped with 8GB DDR4 RAM and 64GB m.2 solid state drive, Acer Malaysia only carries the variant with 7th Gen Intel Core i3-7130U processor at the moment although customers are free to order the 8th Gen model directly from the company shall they require it. Do note that users do need to purchase their own display since the Chromebox CX13 doesn’t come with its own display. Price-wise, the Chromebook Tab 10 goes for RM 1299 while the Chromebook 11 can be obtained for RM 1099. 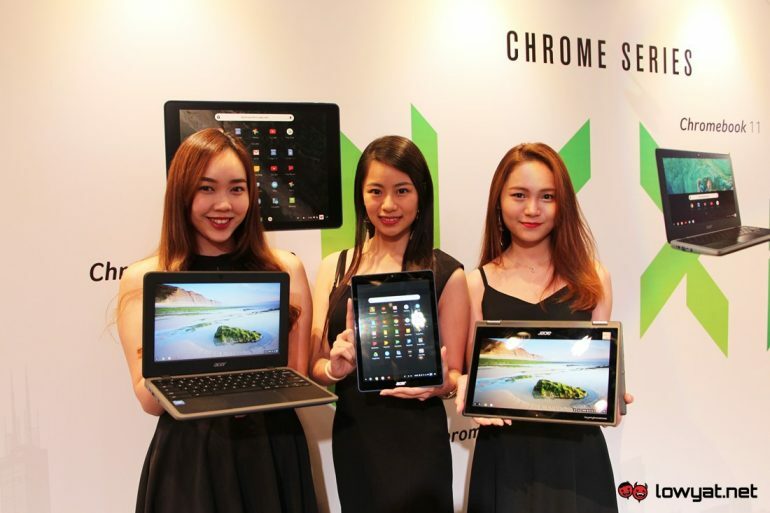 For Chromebook Spin 11, the 4GB/32GB model is priced at RM 1399 while the 8GB/64GB variant is available for RM 1699. On another hand, the Chromebook CX13 is listed at RM 1899. All of these new Acer Chrome OS-based devices are readily available at authorized resellers and official online stores throughout the country.